Eczema is a term used for describing a group of medical conditions that causes the skin to be inflamed or irritated.Usually the Eczema may affects the upper layer of the skin. 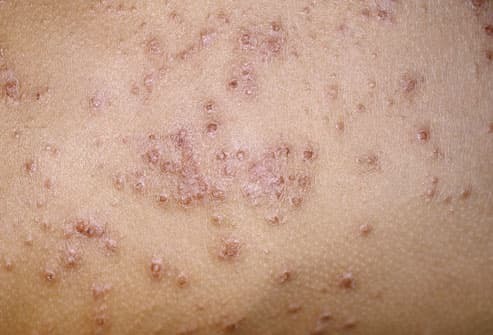 The most common types of Eczema is the atopic dermatitis or the atopic eczema.The atopic is the group of disease that may often have the inherited tendency to develop other allergic conditions such as asthma,and fever. Eczema may affects about 10-20% infants and about 3% of adults and children. The symptoms of Eczema are itching,irritation, swelling, blisters, dryness of skin, recurrent rashes etc. The main cause of Eczema are generally caused by imbalances of Pitta and Kapha dosha. The main goal of the Eczema treatment is to relieve and prevent the itching.The disease may make the skin more dry and itchy. Usually,the Eczema is caused by the violation of the three doshas: Vata,Pitta and Kapha.The imbalance of the Vata may causes a type of Eczema that may results dryness and pain. The imbalances of Pitta and Kapha may result oozing, severe itching and thickness of skin. Amrita Ayurveda Medical Centre provides best Eczema treatment with better care and much patient satisfaction.